This year our customers have managed to reach an even higher level of success. With their Buildbox created games they’re doing more than just topping the charts, they’re actually breaking world records within the app industry. A great example of this is the game, Color Switch, originally created by David Reichelt using Buildbox which hit #1 on the iOS App Store on January 22. The game held its top position for a ground-breaking record of 28 consecutive days, beating out the infamous Flappy Bird which was #1 for only 23 days. Color Switch has amassed now over 75,000,000 downloads. It was initially built in one week using our software and continues to dominate the charts. Within the past month alone we’ve had 5 different Buildbox games featured by Apple. This makes 9 for the year. Making Buildbox the most featured codeless game development platform. It’s absolutely amazing what people have been able to achieve using our software. We’re very proud to announce that our new version, Buildbox 2.0 is now available. With Buildbox 2.0, we wanted to expand the possibilities of what you can create even further, through the addition of multiple worlds, new logic pieces, effects, and more control over your environment. Buildbox 2.0 has been completely redesigned from the ground up. 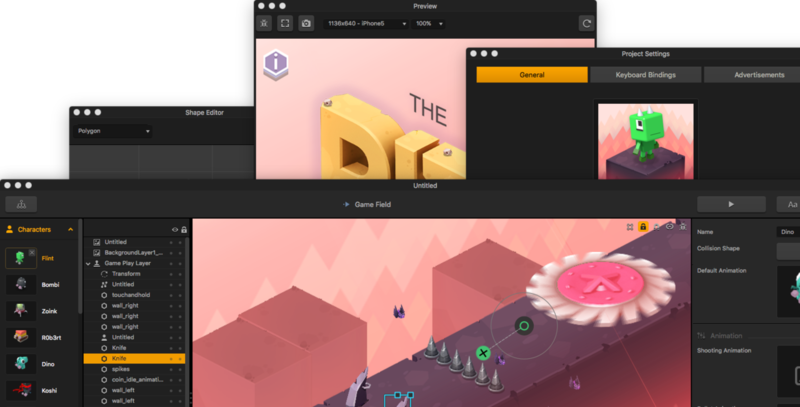 We kept our intuitive easy to use drag and drop level editor and integrated over 137 new options to give users the ability to create a wider variety of games at a much quicker pace. There’s no coding skills or programming knowledge required. Our software was designed to allow anyone with an idea to dive straight in and start creating. What sets Buildbox apart from other game builders is the fact that it’s designed as a game development tool for the masses. You don’t have to be a programmer or coder to make a great game. With Buildbox it’s fun, easy, and fast. In Buildbox 2.0, our goal was to provide our users with the ability to take their game making to the next level. 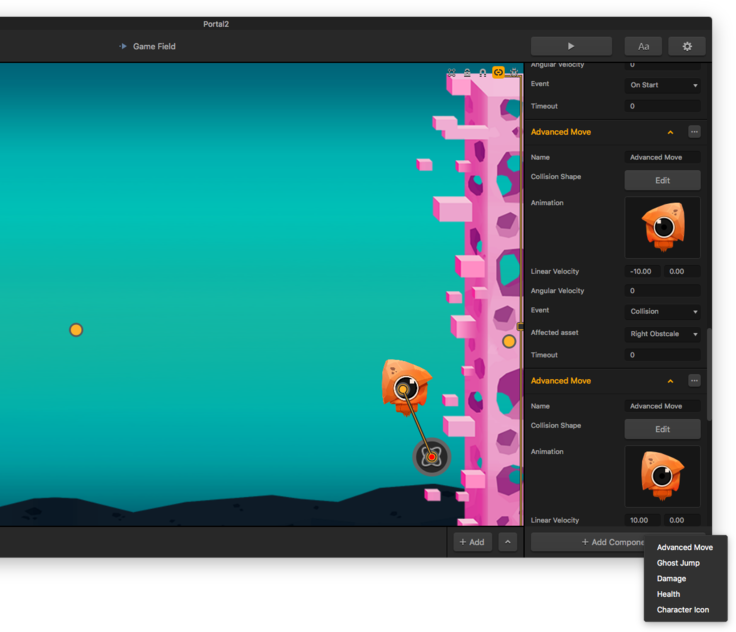 In Buildbox 2.0 you can create stage clear games that wildly open up gameplay possibilities. The multiple world feature allows you to create multiple worlds to mix and match as you see fit. The options are endless. Make a simple casual game or a complex adventure game with text, playable cut scenes, and multiple themed worlds. 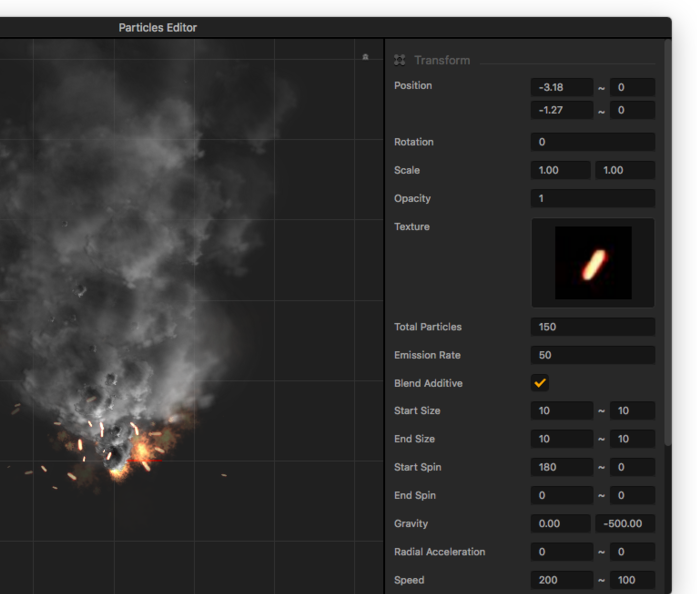 Our new particle effect creator allows you to easily make eye-popping professional effects in your game. The option to not just add an effect but to create it yourself gives you complete control of the look and overall feel of your game. Animated menus are another new feature that lets users customize their players gaming experience. Animate your menus or create your own complete cut scenes with our new keyframe animator. Buildbox 2.0 is loaded with new tools and editing options to easily add advanced elements into your game with minimal effort. We kept all the great action effects and hackable options that people loved about Buildbox and took it a step further in Buildbox 2.0. There’s a new sleek user interface and advanced core engine that lets you take full control over your character. Advanced components also widely open Buildbox 2.0, letting you create new control styles, gameplay types, special attacks and abilities. Make control styles like Crossy Road or make really unique attack functions with your character. There’s also tons of gameplay presets, menu jumps, new logic pieces, options to create paths, clones, teleport objects and more. In this video, you’ll see an in-depth walk-through of all the new features in Buildbox 2.0. I just purchased buildbox on the monthly plan. However, my version is still v1.0 and I was under the impression I was paying for buildbox 2.0 which released last year? Why is mine different than most of the tutorials I watch? Hi Jack, you definitely are paying for 2.0. Reach out to support@buildbox.com and they’ll help you out. How many days is the buildbox 2 trial. can you tell me know? where can i download version trial ? Is the trial version for BuildBox 1 still out there? If so, where? I would like to try it before making any decision on purchasing. Just don’t know how to download it, How can I download it? please can you tell me when buildbox is going to release its trail version . i am to excited to make a game using this gamimg engine. Where’s the trial version? It’s pretty common industry practice. I don’t want to buy it until trying it for at least 30 days. Where can we get a trial download for Buildbox 2? We will not have a trial available on launch. We may have one in weeks following launch, we will make an announcement in the future regarding plans for that so keep your eyes out. Well, that’s a shame. I have tried BB 1 when you released it, and it lacked some features I use in my games. Wanted to test out BB2 as well, since it really isn’t cheap for hobbyist ‘programmer’ as I am, just to see if it is worth the price. I am new to BB. I just downloaded version 1.3 several days ago under trial license and would love to try this version too. Where is the trial version to download ?! There is no trial version?